A lapse in ethical judgment can quickly turn a Big Law leader into a target of an internal investigation, industry sources said. In the end, “the moral issue” that didn’t worry Gordon Caplan may cause him multiple problems. 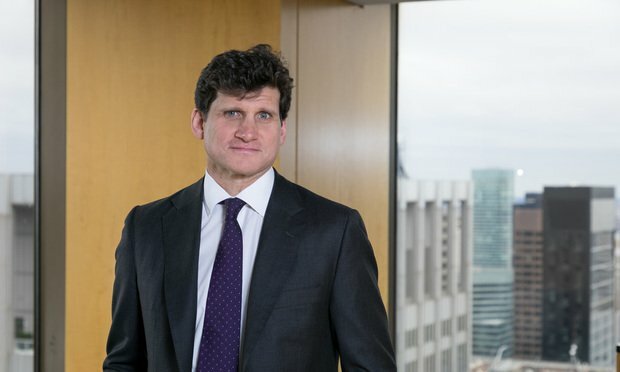 As the former co-chairman of Willkie Farr & Gallagher and his lawyers confront a highly publicized criminal case, the once-lauded Big Law dealmaker may also face challenges from legal regulatory authorities and his own law firm. Willkie placed Caplan on leave earlier this week as he defends himself against charges related to allegations that he spent $75,000 to have his daughter’s standardized test score fudged. Caplan was allegedly overheard on federal wiretaps saying he was not concerned with “the moral issue” related to lying to colleges about his daughter’s ACT score. Caplan is confronting the potential that the law firm he once helped lead will now turn an investigative lens toward him. Legal industry sources said it is possible—some said likely—that Willkie would view Caplan’s apparent dishonesty in prosecutors’ claims unveiled Tuesday as an entrée to investigate his work on behalf of clients. Law firms are also often obligated to report their lawyers’ unethical conduct to state bar regulatory bodies. The question, in one way, is how to square a law firm’s brand as an imprimatur of the ethical exercise of good judgment with a partner allegedly overheard on federal wiretaps arranging for cheating on a standardized exam. A spokeswoman representing Willkie did not immediately return a message seeking comment about whether the firm had launched an investigation of Caplan or notified the New York bar of his criminal case. Willkie scrubbed Caplan’s bio from its website Wednesday, some 24 hours after Andrew Lelling, the U.S. Attorney for the District of Massachusetts, held a press conference detailing charges against dozens of high-profile parents, like Caplan, who used bribes or other illegal “side doors” to get their children into elite universities. In Caplan’s case, prosecutors allege he made a $75,000 payment to help his daughter score in the 30s on the ACT, which would have been a significant bump from the 20-something score prosecutors said she had received on a test exam. In a wiretapped conversation detailed in charging documents, Caplan spoke extensively about the plot with William Singer, the founder of a college preparatory business called the Edge College & Career Network, also known as The Key. Singer first arranged for Caplan’s daughter to fail a psychological exam so she could receive unlimited time to take the ACT, prosecutors allege. He then had an exam proctor look over and fix her answers, without her knowledge, to achieve a better score. Plenty of trouble, of course, has already come of it. How much more will depend in part on the outcome of the criminal case against Caplan, according to Michael Frisch, a former assistant bar counsel to the District of Columbia Court of Appeals and now Georgetown University Law Center’s ethics counsel. For a lawyer licensed to practice in New York like Caplan, Frisch said a felony conviction would mean an automatic disbarment. Caplan was charged with conspiracy to commit mail fraud and honest services mail fraud. Just look to another former Willkie partner, Keila Ravelo, who was disbarred as a result of her conviction. She pleaded guilty to one count of conspiracy to commit wire fraud and one count of tax evasion in 2017 and was subsequently disbarred last year in New York. Given the allegations in Caplan’s case, even a misdemeanor could lead to a suspension, but nothing would be certain in that scenario, Frisch said. Caplan is represented by Patrick Smith, founding partner of New York white-collar defense boutique Smith Villazor, and Peter Cane, of CaneLaw. Both declined to comment when reached by phone Wednesday. One silver lining for Willkie is that it is unlikely the Caplan case would lead to a malpractice claim, said Dan Donnelly, who oversees claims at legal malpractice insurer ALAS. The most likely way the Caplan case could lead to a malpractice claim is if client work is missed or mishandled as a result of lawyers taking over matters when Caplan was placed on leave, Donnelly said. He added that malpractice insurers rarely become involved in personnel decisions at law firms such as whether to place an embattled partner on leave. For Big Law, Caplan’s removal from his co-chair post marks the second straight year that a leader of an Am Law 50 firm was removed from his firm’s masthead in scandal. Latham & Watkins chairman William Voge resigned last March when the firm said he had “communications of a sexual nature” with a married woman.